Alex Gouthro, known to many as 'Moose Man' Gouthro, is a well-known educator, videographer, and video producer from Thunder Bay, Ontario. He is also an award winning member of the Outdoor Writers of Canada (OWC) and has well over 125 published articles to his credit. For over 25 years Alex has specialized in outdoor audio and video productions related to moose, moose hunting, & moose calling. His first production was the "Gouthro's Complete Guide To Moose Hunting & Calling", a three-hour audio cassette program. This program became well known to thousands of moose hunters & callers across Canada and the U.S. In 2005 Alex introduced the "Gouthro's Moose Madness™ Series On Moose Hunting & Calling", a six-hour, four-DVD video series on the subject. This was a natural extension of his audio cassette program, and his efforts resulted in the most comprehensive video program ever produced on the subject. These videos are action-packed: you get to see what is being talked about or demonstrated. 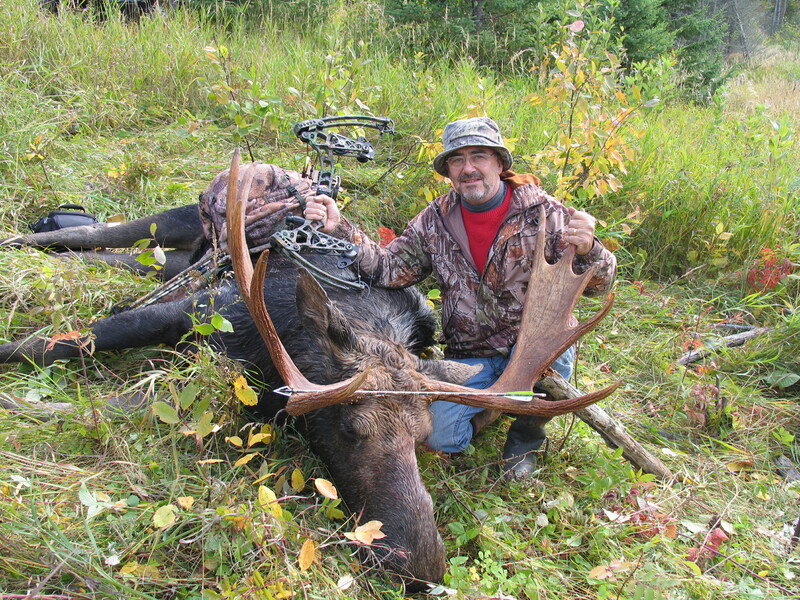 In 2008 Alex completed the "Gouthro's Moose Madness™ 'Quick-Fix' For The Hunter", a comprehensive two-hour DVD video covering all the essentials needed for the hunter to become an expert moose hunter & caller. This DVD received Second Place standing in the Television/Video Category of the 2009 OWC / Shimano National Communication Awards Contest. Always a promoter of hunting education, Alex was an Ontario Hunter Education Instructor for over 20 years before specializing in bowhunting, and has been an International Bowhunter Education Instructor since then. Today he is an IBEP Master Instructor - Bowhunter Education , and training new IBEP instructors in the Northwestern Ontario region is part of this job. Alex has also been a contributing member of the Bowhunter Advisory Committee to the Ontario Federation of Anglers & Hunters for over 25 years. Finally, Alex thoroughly enjoys working with people, and shares his passion for hunting and other related topics through Seminar Delivery. These seminars most often include audience participation on stage, and, where appropriate, are backed by action-packed video so that the audience can see what is being talked about. Because the seminars are always designed to educate, the audience always learns! Viewers are invited to contact Alex to learn more details about his seminars. 4. Practice Your Moose Hunting Skills -- Shoot With Your Camera! Seminars are each about 50 minutes in length. Seminars 1, 2, & 3 can be delivered either as a series, or as stand-a-lone units. Of course, seminars can be adjusted to fit the needs of the group hosting the seminars.